Sometimes proximity is destiny. 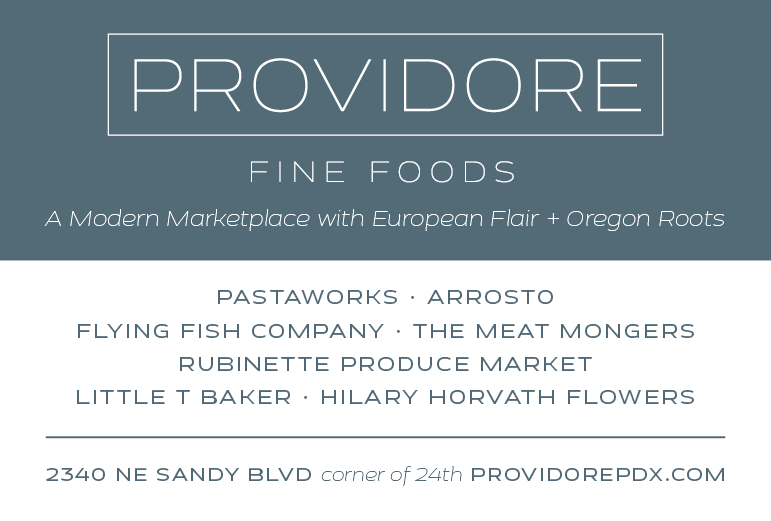 The other day a friend and I were in the vicinity of my brother's wine shop in Sellwood when we were attacked by vicious hunger pangs. Fortunately, right there on the corner of 13th and Lexington, was a little huddle of food carts. So we decided to throw caution to the wind and survey them then and there. One, called Wild Things, featured assorted meats, among them burgers made from alligator and ostrich, which didn't really sound that appetizing. Another was Kevin Sandri's fantastic Garden State cart, which I wrote about in a previous post, as well as the Chuck Wagon BBQ that had a promising-sounding pulled pork sandwich on the menu. 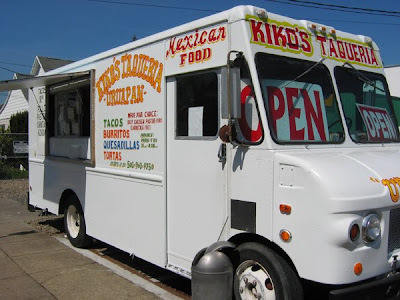 And, of course, the ubiquitous taco truck that my brother had written some nice things about. 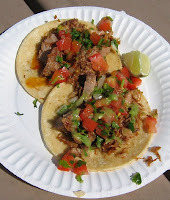 We decided to calm our appetites with a couple of the carnitas tacos from Kiko's Taqueria Uruapan, which totally rocked in flavor and price. For a paltry $1 apiece, these knocked us out. 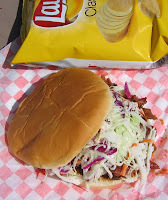 Stomachs somewhat appeased, we then went for the pulled pork sandwich, a traditional version with well-sauced meat and fresh slaw on a lackluster white bread bun that brought attention to the smokiness that was missing from the pork. Good, but not truly great. 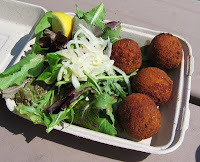 Finishing off with Mr. Sandri's quartet of arancini and a side salad brought the field trip to a close, and we agreed that on the money-to-flavor ratio, the tacos were the best deal on this lot, with the Garden State goodies a close second. Details: Kiko's Taqueria Uruapan, Garden State, Wild Things and Chuck Wagon BBQ. On the corner of SE 13th and Lexington in Sellwood.